HP says it built this one for those who love to work on the go. The company describes the design as durable and mobile. But it’s anybody’s guess if it’s truly that. At about 24 millimetres in thickness, the HP 255 G6 isn’t that slim. But the weight is decent, starting at 1.86 kg. The HP 255 G6 sure makes the cut if you’re in the market for a laptop that offers a sizeable display. You get a 15.6-inch diagonal display with anti-glare feature. The screen comes with either HD or Full HD resolution. As for the innards, the HP 255 G6 features seventh generation Accelerated Processing Unit (AMD). The processors, which belong to the A6 and E2 families, receive support from up to 8 GB of DDR4 RAM. Integrated AMD Radeon R4 or R2 takes care of graphics, depending on processor choice. HP says you should expect the notebook to last almost a full day at work – seven and half hours. This promises decent performance, although nothing out of the world. The HP G55 G6 as expected boots Windows 10 operating system (Home or Pro). You also have the option of FreeDOS 2.0. For storage, there is SATA hard (5400 rpm or 7200 rpm) and M.2. SATA SSD to choose from. Among the port options on offering are two USB 3.1 Gen 1 ports, an HDMI 1.4b port and a VGA port. There is also a multi-format memory card reader onboard. With a full-size island-style keyboard featuring numeric pad, the HP 255 G6 laptop is ideal for business users on budget. The touchpad has multi-touch gestures enabled. Trusted Platform Module (TPM) 2.0 adds an extra layer of security. For online collaboration, you get a VGA or HD camera along with a pair of integrated stereo speakers. HP 255 G6 affordable business laptops are not yet available on in Nigeria, Kenya, or Ghana. 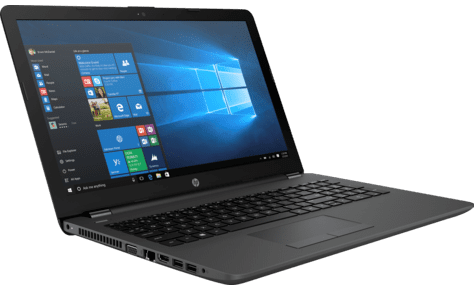 The HP 255 G6 price in Nigeria is expected to start at around 95,000 Naira, depending on your location and the configuration of the laptop. Price in Ghana is expected to start at around GH₵ 1100. HP 255 G6 price in Kenya starts at 25,999 KSh.